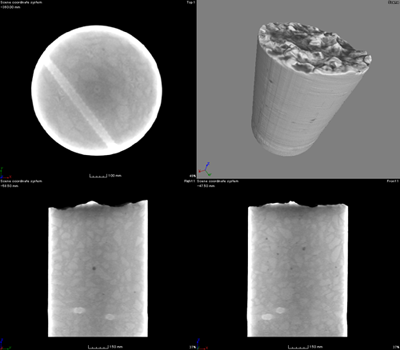 Export Stereo Lithography (STL) data at 0.3mm resolution. 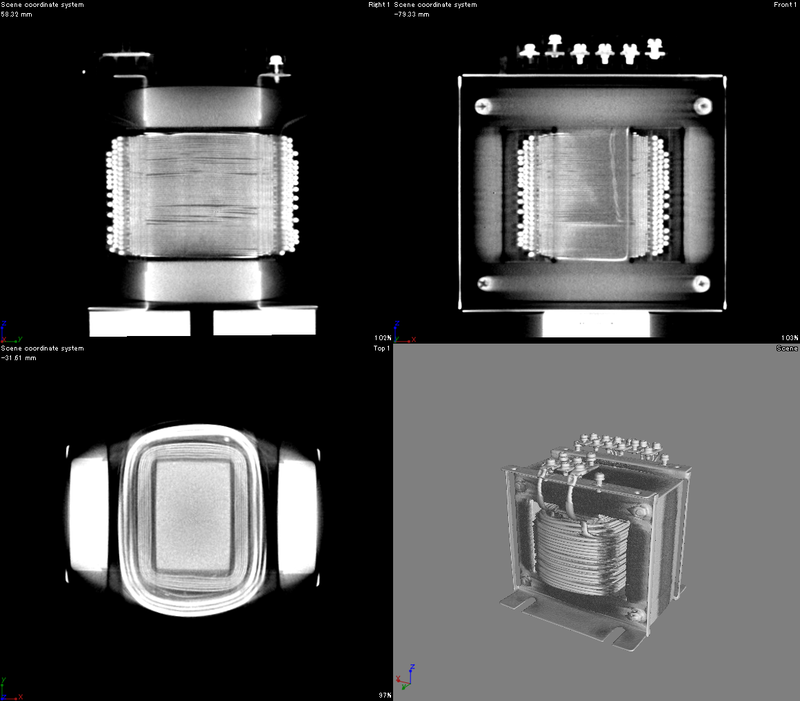 The product is capable of capturing 50cm wide-angle images; such capabilities make it a powerful tool for analyzing defects in large automotive parts, storage batteries, and fuel cells. Analysis example　:　this video shows images that can be obtained from a CT inspection device; an engine is used as an example. As well as the internal structure of a engine block, you can see a position and the shape of voids in a casting at first sight. 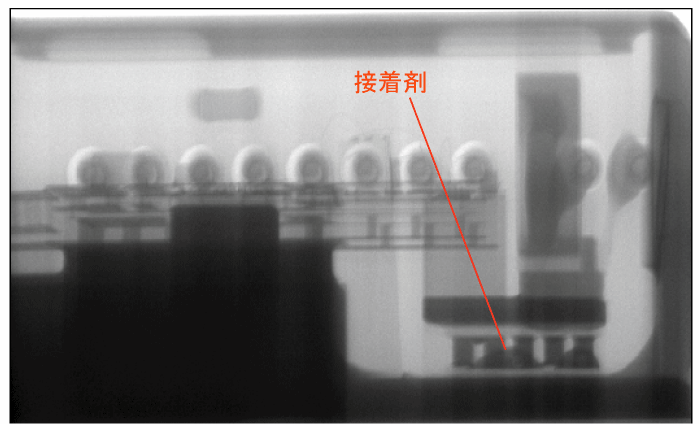 This CT imaging took only 30 minutes. 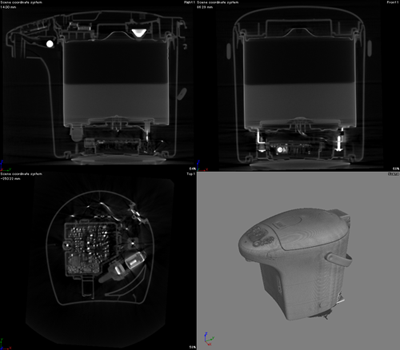 Our scanner can detect defects in aluminum castings. By using reverse engineering techniques to convert CT data into CAD data, the device becomes a powerful tool for the inspection of automotive parts. 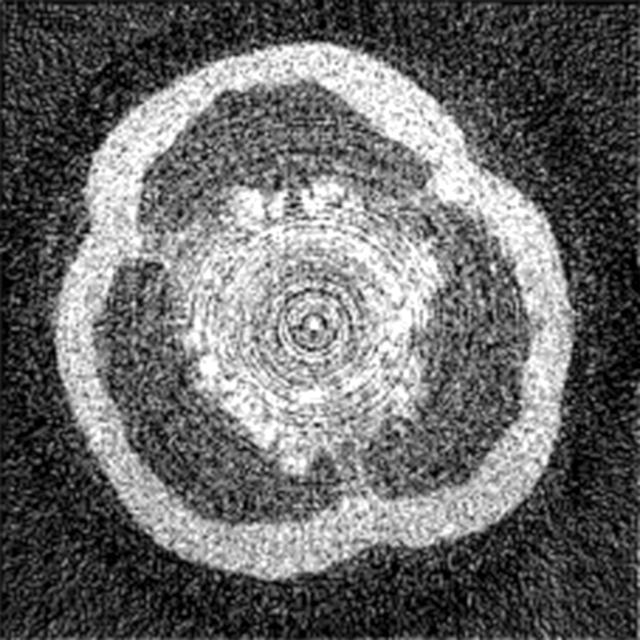 Winding wires can be clearly seen even through the iron core. 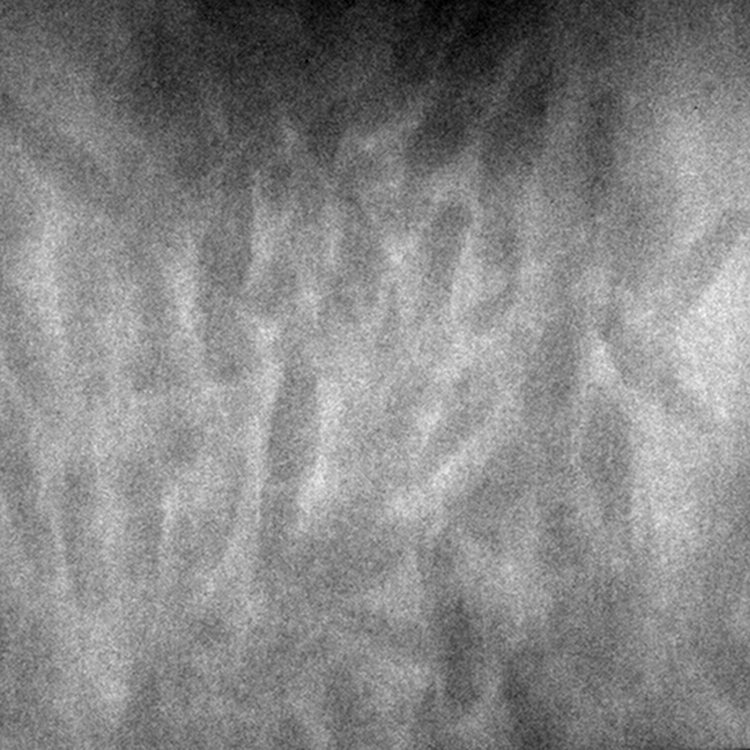 The different densities in the concrete particles can be clearly distinguished; besides, the internal steel frame can be visualized. Even large objects can be imaged in a single frame. The first cross-section shows that the electrodes are mesh-shaped. 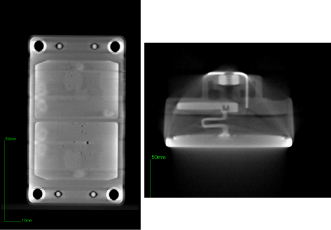 The second cross-section shows the central part of the electrodes. ■　The highest resolution CT imaging of a turbine blade. 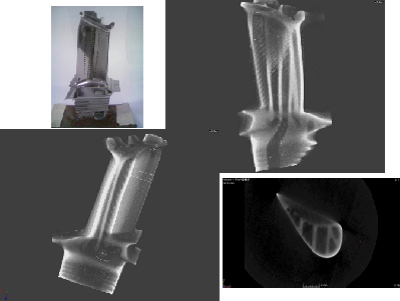 On the left, a photograph of a turbine blade sample is shown. On the right, cross-sectional images from the CT scans are displayed. 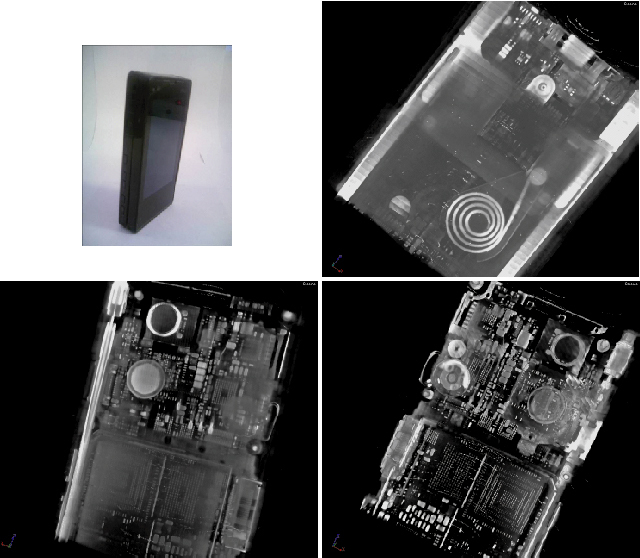 This scan was taken in collaboration with Microscopic Scan Co., Ltd. and Yamato Scientific Co., Ltd.
On the left, Photograph of a mobile phone. On the right, Cross-sectional CT scan image of the mobile phone. 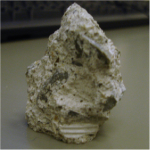 This is a CT image of a lump of concrete. The scans vividly show the different densities in the concrete as it sets progressively over time. 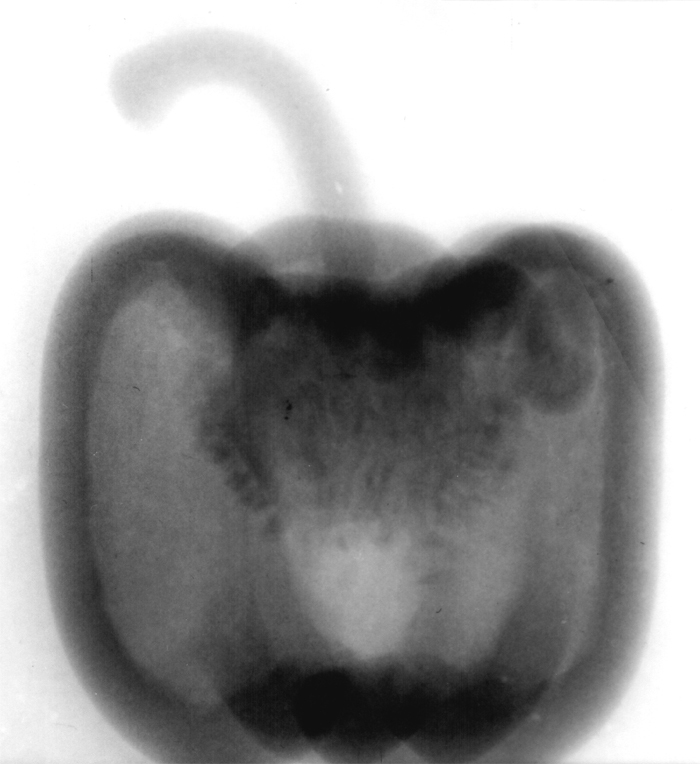 A phase contrast image of a red bell pepper reveals the complex internal structure of this vegetable. 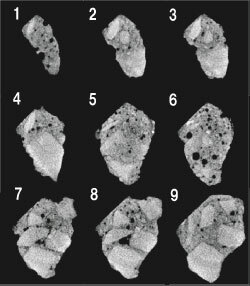 Seeds and other internal structures are clearly visible. 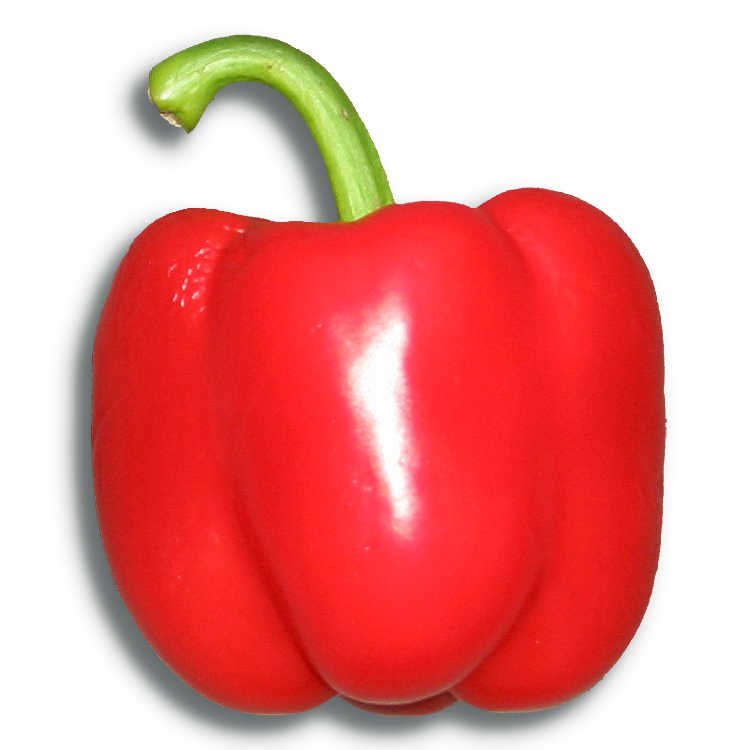 The image on the far right shows cross-sectional CT images of a pepper. 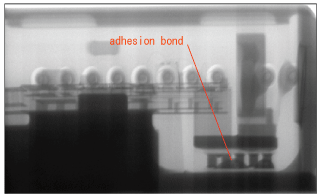 The scan even shows the adhesives used inside the electronic components. 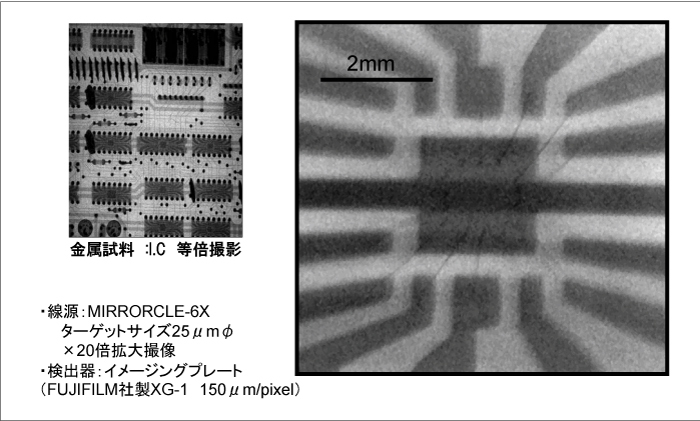 The electronics of the circuit pattern inside the ceramic package can be seen. 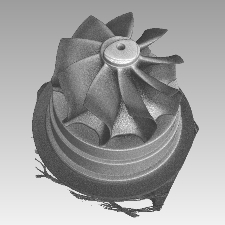 We have been commissioned to perform a nondestructive CT inspection of a turbo engine from an automotive manufacturer. Fig. 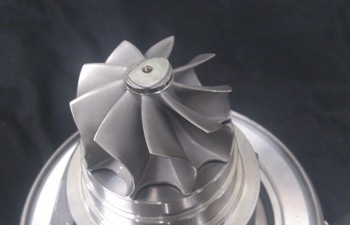 1 shows a photograph of the engine. Fig. 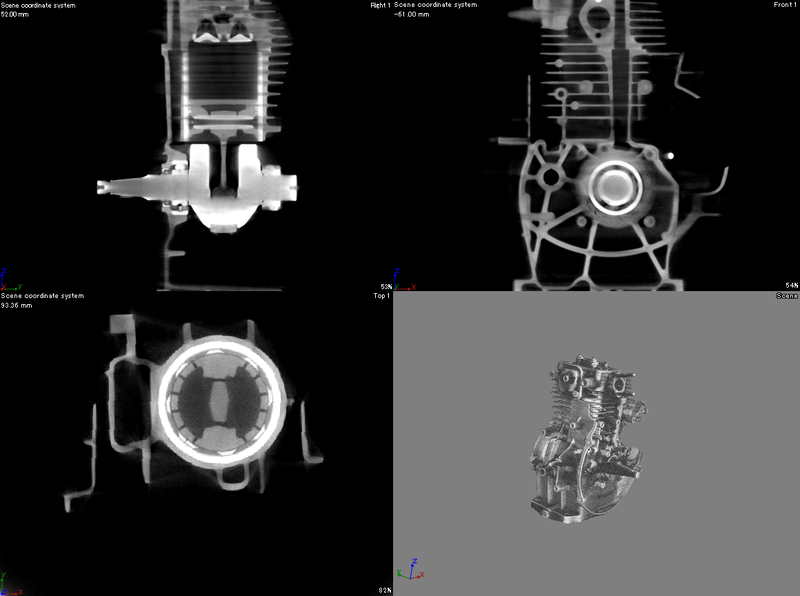 2 shows the three-dimensional image obtained from the CT scan of the engine. Click here for enquiries on commissioned analysis. Copyright © 2018 MIRRORCLE ANALYSIS CENTER, Ltd. All rights reserved.